And their past masters are disappearing into history, Blair especially now that he is being abandoned by his friends as the shadows of the Murdoch/phone hacking fallout rise and Chilcot looms. Balls has a hard job, says Mandy, which will mean he will be attacked from within the party, but he’s hard and he’s brainy and he’s got to stay tough. And with the Dark Lord behind him, no doubt he will. The project is in safe hands. TB used to say I was his guy for looking round corners. I like to think I had more uses than that, but I did learn to read minds. And I can read yours. You are wondering what on earth Peter Mandelson is doing here speaking at a fundraiser for Ed Balls. Weren’t we the commanders-in-chief in the battle between the TBs and GBs for all that time ? Didn’t we stand at opposite ends of the great New Labour divide ? Answer is of course yes. Up to a point. And it’s the point I want to dwell on tonight. Because when Gordon asked me back to govt and we had to deal with the biggest global financial crisis for over a hundred years, I saw a lot of Ed’s grasp and intellect. I saw the capability he has. The steadiness. And now, since 2010, it’s what Ed has been doing as shadow chancellor, and how he’s tackled the task, that I have come to admire. That task means acknowledging what we should have done differently – as Ed has done in relation to financial regulation. Explaining how and why the coalition’s early approach was wrong – as Ed did in his original Bloomberg lecture, and I see nothing so far in the economic recovery that requires Ed to revise his original judgement. But above all Ed’s task is to set out where Britain’s economy needs to go next. And it’s “the next” which has never been more challenging and more important. and where there is a huge premium in government and business working together, not against one another. and which I came back with when I returned to Britain in 2008. Now, talking about where we go next, I think I am pretty qualified to talk about the strengths and qualities Ed brings to this task. With him and me, there’s always been more that unites us than divides us. After all, I was the one who originally recruited him. In those days, in the early 90s, I did most of Gordon’s hiring and firing. Gordon asked me to see this frighteningly clever, Oxford and Harvard, slightly brash – believe it or not he’s calmed down a bit since then – international economic leader writer from the Financial Times. I thought I’d better take him to lunch to at least try and get off on an equal footing. It was tough going. Especially when he started going into the details of why going anywhere near the Exchange Rate Mechanism was such a bad idea. I told him, in that slightly imperious way people sometimes misunderstand about me, that Labour’s modernisers were firmly pro-European. And he said “don’t worry, except for that, I am with you guys”. And I thought, who’s hiring who around here ? But we were and remained roughly all in the same place. Personalities came to divide us, and a fair bit of politics, but not, in the main, policy. Our anchor was our united belief that the Labour Party and its values are the best route to social justice in our country. And a hunger for the Labour Party to be in government to implement those values. An understanding that for Labour to be in government it needs, above all, to prove that we can be trusted with peoples’ money and the country’s economy. That there are no short cuts to demonstrating economic competence – and that all else flows from that. I want to come back to that. But there’s another thing that binds Ed and me. We were bound together by who we worked for, or rather what we had to do for our masters, Tony and Gordon. As a result we both became figures of controversy – even hate in some quarters – without realizing the personal, political price we were paying for this at the time. We were the filters, the ones who had to do the ‘heavy lifting’ for our bosses. Ed, of course, was the one Tony often wanted to fire. I just happened to be the one he did. But I am looking at the way Ed is on the receiving end of so much attack now from the Bullingdon boys at the top of the Tory Party. And let’s be absolutely clear what’s going on here: he’s not being attacked because he is weak or some sort of shrinking violet. It’s not because they think he has no economic intellect or someone they have no reason to fear or be concerned about. Quite the opposite. They know he is their match. Of course, our opponents want to put us on the back foot and lay every economic ill at our door and Ed was a big beast of the New Labour years. But Ed is right to push back. Look at how the backbone of our economy has been weakened during the last three years and then remember our record. We built a store of strengths and assets for our country’s future economic success – in skills and infrastructure, in education and healthcare, in science and technology, in open trade around the world, in competitive and accessible markets that allow businesses both to start up and grow and create the well paid jobs people demand. And we had an influence in Europe, our key home market and indispensible global alliance, that has been all but thrown away these last three years. Of course the next election will not be won by who said what or did what 3, 5 or 10 years ago. But our record is a strength not a liability and we should use it as such. The question for voters is what’s happening now. They see the UK economy remains deeply unbalanced – in its lack of investment and export growth, in the worsening mix of manufacturing and services, between a highly paid tail and most people’s earnings, and between the south and north of the country – not something that’s going to be miraculously transformed by a very expensive shiny bullet train called HS2. What the country needs is someone who understands how a modern economy really works. Who has the economic brainpower, the financial discipline, the global outlook, that enables us to understand both what’s wrong and what we need to do better. I believe Ed has that capacity. And he is right to insist, with Chuka, that Labour needs to focus laser like on the challenge of wealth creation, and what business needs in order to grow, as well as on what we need to do for wealth distribution. But there’s something else too. And I make no apology for reverting to type and becoming an election manager again. Our political opponents know that Ed and Chris Leslie are absolutely determined not to give them the economic ammunition they want to base their election campaign on next year. We know the election the Tories want to run. We’ve seen it before in 1992 – incidentally, the last time they won an election outright. They want the Labour Party to pile on costly spending commitments so they can add them up and turn them into an ugly tax bombshell. It’s a trap we mustn’t fall into. And with Ed and Chris it’s a trap I am confident we won’t fall into. But don’t think there’s anything easy about this. It’s the hard grind of opposition. I am familiar with it. Eighteen long years of it. Of course saying we will reverse this coalition’s cuts would be popular in the party. But if we do we walk right into the Tories’ trap. That’s why we need someone tough in charge of our economic policy, some who is prepared to say no. Someone to resist the short-term temptations that will bring us nothing in the long-term. Someone who knows the difference between populism and realism and isn’t going to get mired in public vs private dividing lines. Someone to build an economic policy framework that is bullet proof. Being shadow chancellor and chancellor means saying no to colleagues more than you can say yes. It’s a job that makes you the prime target of attack from opponents but also sometimes from within the party. But it’s a job on which our party’s election chances crucially depend. That’s why the more the Tories attack him the more they are desperate for him to fail – and the more we need him to succeed. lead us back into government at the very first available opportunity. If we don’t give them both that backing, we are doing the Tories’ work for them. 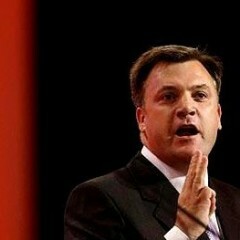 So Ed, carry on being a human being if you must. Keep the lasagne flowing, keep up the marathons, and the piano practice. We’re right behind you, a long way behind in the case of the marathons. But the bad news is, because of what’s at stake and the tough challenges our economy faces, you have to keep on being the hard guy as well. We need to keep our brainy tough guy. It’s your vocation. Because we need you to win and if you do, Labour will too. What is Balls up to? Who’s fooling who at the BBC about the rise of China? Is Len Mcclusky’s withdrawal of £1.5m funding in anyway related? Might serve as some sort of a back-up if Mandelson is still intent on his Lib-Lab centre party with a permanent majority (obviously without the Unions, CLPD or the left in general). Yes it could very well be that Mandelson and others are planning a new centre left party which would of course mean that the union block vote and all of the other arrangements would have to go. What would come in would be corporate and government financing as in many other countries. Today’s ‘modern economy’ only works pro-business because we have let this happen. If you want to know who runs the UK – look at today’s headlines: Standard Life are telling the citizens of Scotland that they can’t vote for independence – what happened to democracy in Mandy’s world? Small government and privatised services can only mean we relinquish all power to big business (watch the Labour party do just that in two days time). How do we change things then? 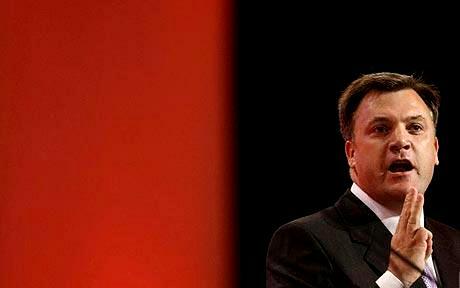 It’s not that bad what has happened is ED Ball’s has been pretty poor over the last few months some of his speeches are him basically messing up, forgetting bits, and droning on. The question is being asked why not get rid of him and ask Darling to come back or worse see if we can get Cable. The fact is for month people were asking have the two Ed’s fallen out are they angry with each other, because it was obvious something was wrong they sat next to each other sometimes and did not look at each other or for that matter speak. The question was asked should Ed Ball’s be moved kicked out moved on dumped. The question was would Darling return, sadly Darling has made it known he has a task in Scotland and until that is ended he’s not interested. So Ed now fighting for his future bring in his old mate he would have brought in Brown sadly that would be worse then having Mandy so mandy comes in tell us Ed is the man he gets paid I’m sure, and goes home happy and Ball’s hopes he has settled people minds sadly just asking Mandy to speak people will now think of something else. Mandiballs, Ballsomand, manballs, ballsman, the possibilities are not exactly endless but they are a small bit of fun in a the crushingly depressing development of Labour’s bid for power. Power that is to keep society on the same track while tweaking a little bit here and there. The discourse is so infantile and so deprived of any critical thought that reading it gradually drains my will to live. I’ll go and read a thoughtful book to get some of this crap out of my head.